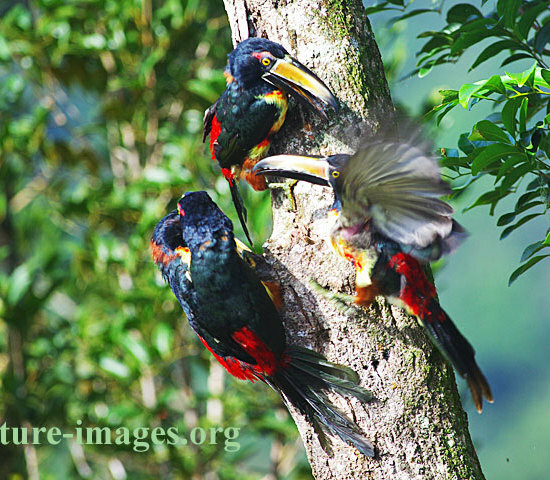 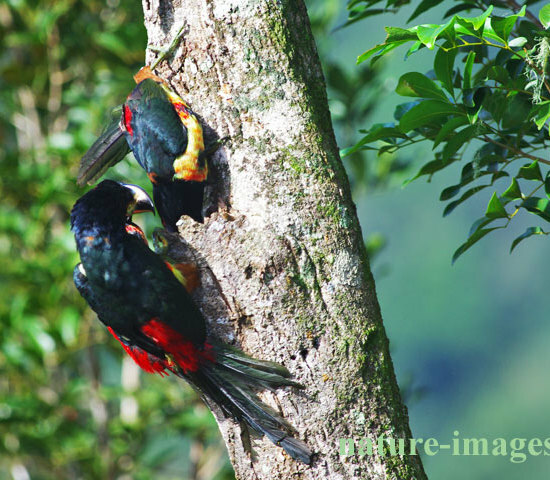 Flock of collared aracaris feeding from a tree trunk, images taken in Altos del Maria, Panama. 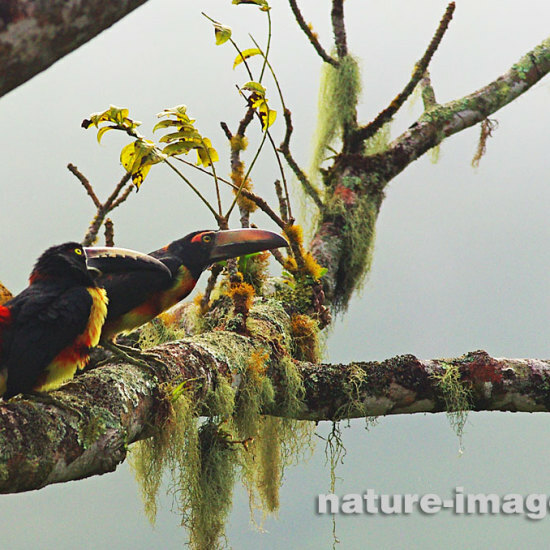 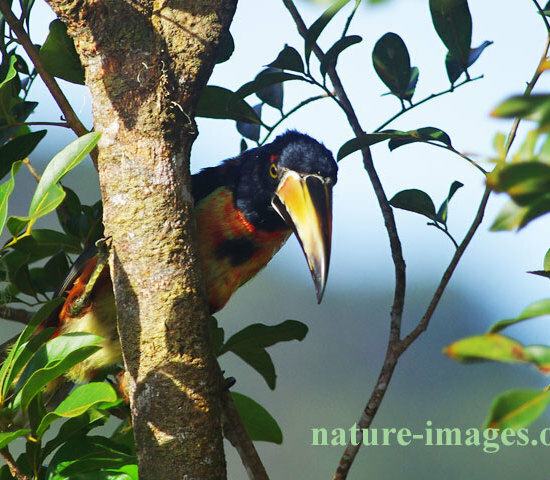 The collared aracaris can be found from southern Mexico to Panama; also Ecuador, Colombia, Venezuela and Costa Rica. 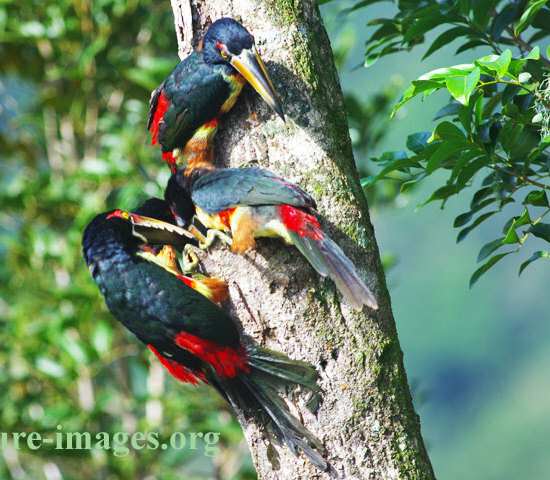 This species is primarily an arboreal fruit-eater, but will also take insects, lizards, eggs, and other small prey.